Meditation Pond niches for final placement of cremains. The following letter was received from a sweet lady after the placement of her loving husband in the new niche bank on the north shore of the Meditation Pond at Calumet Park Cemetery. This letter is included in this facebook entry, not as a way to give special credit to Dan because he was just being Dan. It is here because we all need to be reminded that love like this exists, is real and the loss is felt so deeply. All of the staff at Calumet Park helps people every day of the year, whether our funeral home staff, office people, family service department or the people that oversee the grounds. Permission was granted to put this letter on Calumet Park’s facebook page. I needn’t tell you as members of the Board of Directors of Calumet Park Cemetery that losing a loved one, any loved one, is one of life’s most painful and stressful experiences. However, losing someone that I loved as passionately as I did my late husband brought agonizing pain for which I was totally unprepared even though I knew of the unthinkable for the previous fifteen months. Thankfully I received and continue to receive consolation and support from dear family members and friends. Occasionally someone new to me provided solace as well. One such person is a dedicated and sensitive employee of yours, Dan Moran. I met Dan briefly on my first visit to the cemetery. He stepped into the office where I was completing paperwork, introduced himself, and provided me with a business card. I am so incredibly thankful that he did. I contacted him a few days later to voice a concern but couldn’t initially speak through a deluge of tears. Dan was genuinely impacted, and after speaking with him, I sensed his sincerity and that he would absolutely resolve any issue I identified. And of course he did. One issue that I will be eternally grateful to him and the Board is understanding how important it was to me, to us, that the inscription, “With all my love, always” be included on our niches. Joe signed hundreds of cards and letters using these five words for 56 years. Those five words reflect a love story the depth of which is difficult to express, let alone explain. Five words, two lives, one love. I wish to commend Dan for the tender and professional manner in which he conducted himself each time we met or spoke. He is, needless to say, an incredible asset to Calumet Park Cemetery. Whoever had the foresight and insight to hire him also needs to be commended. Kim Jones (on left) with Darrel and Mrs. McNeal at official grand opening of Rendina Funeral Home. Kim is a Certified Celebrant and can help you at any of our facilities. Darrel is our liaison with Batesville casket company. It may sound strange to celebrate the life of a loved one that just died. Yet, think of the last funeral you attended and what much of your conversation was about. You shared memories of the good times with that person, and the good things about that person that helped to create the good times. Grief will come. There will be plenty of time to grieve. But for the moments when you gathered to say goodbye to the person who passed and hello to so many others that you had not seen for so long, a celebration of a life that was lived helps with the healing process. To have a fitting, respectful and beautiful goodbye is part of the reason that we carry on the ritual of the funeral. At Calumet Park Funeral Chapels in Merrillville and Hobart, and Rendina Funeral Home in Gary, the services of a Certified Funeral Celebrant are available for families who are charged with the duties of final arrangements. 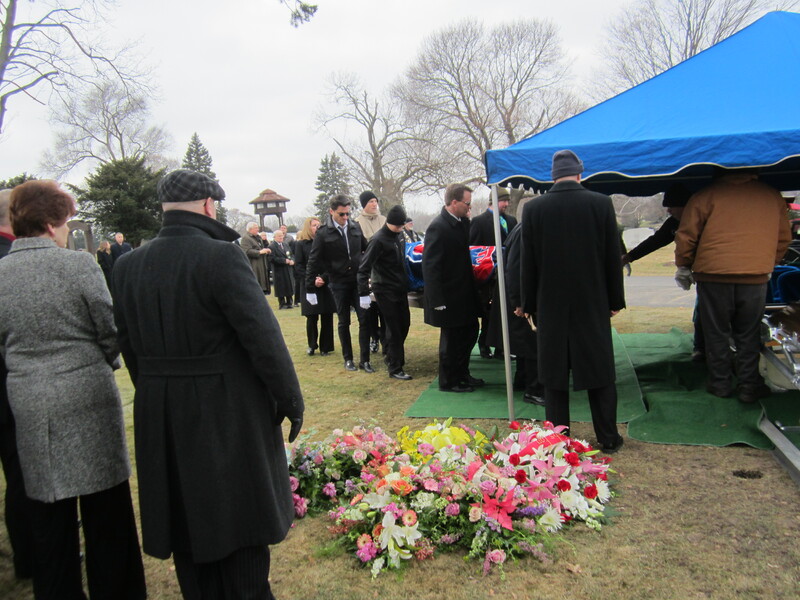 Calumet Park’s Celebrant is a funeral director with special training to help produce a final goodbye that leaves a warm place in the hearts of those who cared enough to attend the funeral of your loved one. What is a Celebrant? 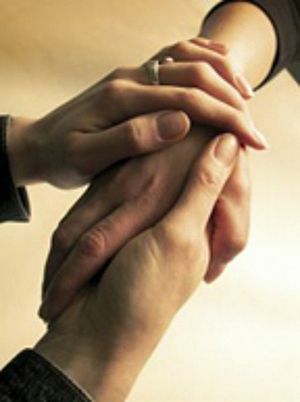 A Celebrant is a person who is trained and certified to meet the needs of families during their time of loss. A Celebrant serves by providing a funeral service that is personalized to reflect the personality and life-style of the deceased. A Celebrant offers an alternative to a service provided by a clergy person for those families who are not affiliated with a church or who do not wish to have a traditional religious funeral service. A Celebrant has been specifically trained to design a service that is completely personal. They incorporate those unique stories, songs and experiences that defined the loved one. A Celebrant will schedule a special family time for the family to share memories, anecdotes, and special moments in the loved one’s life. The essence of the service will be based upon the remembrances of the family. A Celebrant has a library of resources available for readings, music, ceremonies and personal touches. The Celebrant will consult with the family to help design a service that best reflects and memorializes the life of their loved one. A Celebrant is bound by a code of ethics for complete confidentiality in all dealings with the family. He or she will provide a special unique committal service at the cemetery with balloon releases, dove releases, special music, friends and families leaving special notes on the loved one’s casket, and much more. Kim Jones, funeral director and manager of all three funeral homes, is a Certified Celebrant. She will sit down with the entire family and let the family share stories and reminisce about their loved one. During this time, which can last an hour or two, she will listen carefully and ask questions to gain a better understanding of your loved one during your grieving process. Everyone grieves differently and it is healthy to express your feelings, tell stories and remember the beauty that was your loved one. According to Doug Manning of IN-SIGHT BOOKS, INC., “Your loved one are never gone if you keep their memories alive.” A Certified Celebrant is trained to seek and provide the most comprehensive and sensitive training available for people wishing to develop their knowledge and skills of this profession of funeral directing. It is important that a family knows they are being served by someone who understands the process and is prepared to offer the very best and most personal funeral possible. Call Kim at 219-736-5840 for more information regarding Certified Funeral Celebrants. Find out if including a Celebrant as part of your funeral is right for you. Nickolaus Schultz…a true American hero. May God bless your family. For a lot of interesting thoughts on grief, go to What’s My Grief on facebook. You may find some helpful information and some comforting thoughts from two young ladies who have made grief their area of focus. Borrowed from their Blog and titled “64 things I wish someone had told me about grief”, a sampling follows: 1. No matter how prepared you think you are for a death, you can never be fully prepared for the loss and the grief. 2. Dying is not like you see on TV or in the movies. It is not peaceful or prepared. You may not have a spiritual or meaningful moment…it’s too real. 3. There will be pressure from others to move on, even minutes or hours after a death, and this can lead to regrets. 4. Death and grief make people uncomfortable, so be prepared for awkward encounters. 5. When people offer support, take them up on it. 6. People will bring you food because they don’t know what else to do. Don’t feel bad throwing it away. Their love and concern was shown in the giving. 7. Death brings out the best and the worst in families, so be prepared. There is no timeline for grieving. You cannot rush it. You will grieve, in some form, forever. 8. Guilt is a normal part of grief; as is anger. 9. Grief can make you question your faith. 10. Grief makes you feel like you are going crazy. 11. We all grieve differently, which can create strain and confusion between family members and friends. 12. You may find comfort in very unexpected places and with people who you would never have suspected as being caring. 13. Trying to protect children from death and the emotions of grief is not helpful. 14. You grieve your past, present and future that will never be with that person. 15. Holidays, anniversaries, and birthdays will be hard forever. 16. People will tell you what you should and shouldn’t feel and how you should and shouldn’t grieve. Ignore them. 17. Grief triggeres are everywhere. You will see things that remind you of your loved one all over the place, and it may lead to sudden outbursts of emotion. And that is OK. 18. Sometimes it gets worse before it gets better. 19. You cannot compare grief or compare losses, though people will try. Nobody can know how you feel. 20. There are many days when you will feel totally and completely alone, whether you are or not. 21. Grief counseling does not mean you are crazy or weak. 22. It is okay to cry sometimes and it okay not to cry sometimes. 23. Grief can re-write your address book. Sometimes the people you thought would be there for you were not and people you never would have expected will become your biggest supporters. 24. Watch you drinking or drugs…they can quickly become an unhealthy friend. 25. Talking isn’t the only way to express and process emotions. 26. Talking to God is a great way to grieve and it is okay to be mad at Him. He understands. 27. You will never go back to being your old self. Grief changes you and you are never the same person. 28. Nothing you do in the future will change your love for the person who died. 29. Eventually you will begin to enjoy life again, date again, have another child, seek new experiences or what have you. None of these things will diminish your love for the person you lost. 30. Grieve your way and the heck with everyone else. 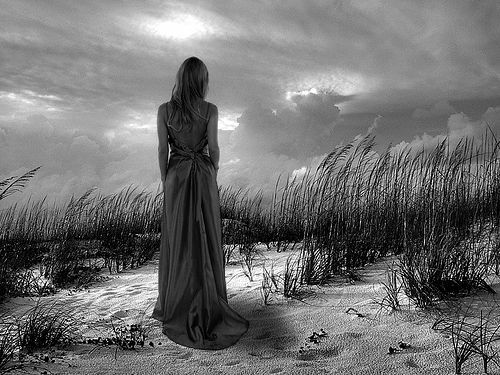 She stood on the beach with the tall grass blowing in the warm, summer breeze. No movement, no looking up and down the dunes. She would come on Sundays and look out at the water of Lake Michigan. The first time she came, she knocked on Rosie’s door and timidly asked if she could park her car for a few minutes because she needed to walk over the dunes and all the beach parking was full. She held a small cardboard box, and looked at Rosie with so much sadness in her eyes that Rosie quickly granted her permission to park. True to her word, she returned within 15 minutes, got in her car and drove off. Rosie didn’t give it much thought, until the young lady came the next week, and the next and the next after that. Each time she politely knocked on the door of the big red house, and each time Rosie let her park there. Comments Off on Oh, so very sad…..
What do you say when someone dies? What not to say! Guess what? You do not. You do not even really know how you would feel if you just lost your child or parent, or anybody you cared about for that matter. And if you lost your child, or parent or anybody you care about, that experience is your own – and it is unique to only you. Comments Off on What do you say when someone dies? What not to say!